The North Carolina and Franklin County Cooperative Extensions. Piedmont Food & Agricultural Processing Center (and their facebook page) - commercial kitchen and more! Natural Bees in NC mailing list and a semi-associated Map to beekeepers and apiaries. Sustainable Agriculture Research and Education Program - Grants and Education - The USDA’s sustainable farming wing offers free educational resources and grant programs—grants that farmers can apply for directly. Visit their website to check out what grant opportunities are available in your state. 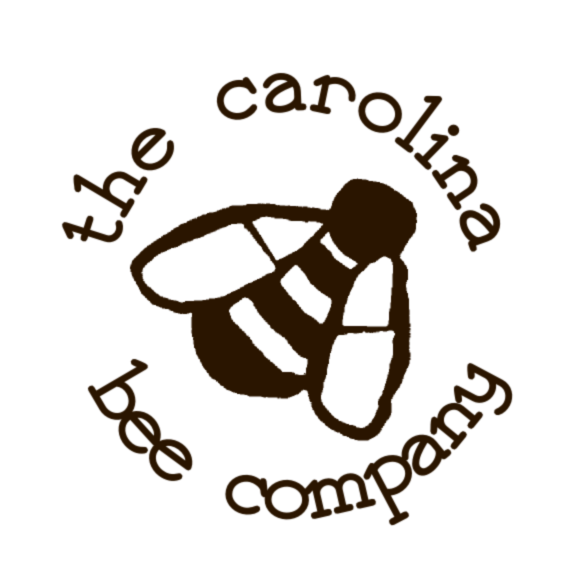 +CarolinaBees - The Carolina Bee Company "blogs" on Google+ now. You can also find us on Facebook, Twitter and Pinterest. [Robo World seems to be dead - 2014-02-22] Robo's World's Beekeeping Podcasts. Most notably, Monica was interviewed on Dec 10th, 2009. The MP3 of the interview can also be found locally here. Basic Beekeeping - This is a great general beekeeping howto/informational blog put together by the good folks at Long Lane Honey Bee Farm in Illinois. They also have a great podcast (though not updated anymore) called Studio Bee Live! Ear to the Ground - sustainable agricultural podcast of the Land Stewardship Project. We love folks that are trying to make a go of it with sustainable farming and homesteading. In here you can find a pile of links to farms, info, and organizations. The Modern Homestead - Loads of info and ideas. Polyface - Shenandoah Valley, VA - "The Farm of Many Faces"
Home farm of the family trying to change the face of farming around the world. Joel Salatin is a true hero. Now, how do we translate his ideas to beekeeping? That's the question that interests me. Wendell Berry - prolific writer and farmer (fiction, poetry, and agronomy). Highly highly recommended. Read The Unsettling of America and The Art of the Commonplace. Web fan pages: here and here. Grant opportunities! Check out the "Sustainable Agriculture Research and Education Program" link in the State and Local Resources section above. Carolina Farm Stewardship Association - Their mission: "Promote local and organic agriculture in the Carolinas by inspiring, educating and organizing farmers and consumers." Heifer International - Heifer International is a global nonprofit with the goal of ending poverty and hunger in a sustainable fashion. Clean the World - Clean the World is the largest global recycler of hotel (and soap-maker) soaps and bottled amenities. As mentioned at the bottom of every page, All images and content throughout these pages are © The Carolina Bee Company unless otherwise indicated. But there are some guides and whatnot that we license via the Creative Commons Attribution-ShareAlike License. The Carolina Bee Company Guide to Cooking with Honey, guidelines for enhancing your recipes with honey! All imagery and content is freely re-usable and mixable as governed by CC BY-SA. The Beekeeping Year - A common presentation we give outlining a full year of beekeeping for both the bees and the beekeeper. All imagery and content is freely re-usable and mixable as governed by CC BY-SA. The Honey Bee Conservancy, honey bee advocacy. Cornell's The Hive and Honey Bee Collection of e-books. Huge library of historical and practical beekeeping. Bugguide - comprehensive bug guide site - check out the honey bee section. Interesting. Encyclopedia of Life - E.O. Wilson'svision - check out the honey bee section. Bee Informed Partnership - "The Bee Informed Partnership is an extension project that endeavors to decrease the number of managed honey bee colonies that die over the winter." Hive Tracks - Up and coming, online, and free, apiary record-keeping application. We like it! Certified Naturally Grown - The Grassroots Alternative to Certified Organic - here are their apiary standards. We are CNG Certified. Center for Honeybee Research - A grassroots investigative effort to study a more natural approach to beekeeping. Khan Academy: Biology - Free world-class education... for free and easily consumable by everyone. We linked to the biology topics for you. Bees, Hornets, and Wasps of the World - a fantastic survey of a variety of hymenoptera around the world! Really fantastic.